The State Department has asserted that passport denials for citizens living along the U.S.-Mexico border are at a six-year low, refuting recently published reports claiming a surge under the Trump administration. Jaime Diez, a Brownsville immigration attorney, told the Texas Tribune recently that it appears the Trump administration is taking a closer look at U.S.-born citizens born in South Texas, specifically those delivered by midwives. He said he currently represents dozens of U.S. citizens who were denied their passports or had their passports suddenly revoked, some of whom served in the U.S. military. Lisa Brodyaga, a Harlingen-based immigration attorney who runs the nonprofit organization Refugio Del Rio Grande, has worked with Diez on approximately 100 cases involving U.S.-born citizens delivered by midwives. Brodyaga, who has been practicing immigration law for four decades now, said she’s seen an increase in denials as well. “I wouldn’t call it a surge but there is definitely an increase, not only in the number (of denials), but in the degree of stupidity and indifference in (the State Department’s) issuing of the denials and revocations,” Brodyaga said. She said that passport denials of U.S. citizens is not a new trend, but does think the process for citizens is now more stringent. The longtime attorney said some of the actions seem discriminatory — targeting mostly the Hispanic population. If accurate, a surge in denials under the Trump administration would be fitting of an administration that has made its presence felt in the South Texas region, with border wall construction proposals slated to tear through environmentally sensitive areas like the Bentsen-Rio Grande Valley State Park, the National Butterfly Center, and La Lomita Chapel — all in the western-Valley city of Mission. South Texas was also ground zero for the “zero tolerance” policy, implemented by U.S. Attorney General Jeff Sessions, the policy resulted in the separation of children from their parents at the Ursula detention center in McAllen. It’s where the Texas National Guard is currently stationed, placed there under pressure from the Trump administration, which cited an increase in illegal immigration as justification for the military presence. Still, U.S. State Department spokesperson Heather Nauert denied the national media’s reporting in a prepared statement. Nauert said the Washington Post’s report that passport denials “appear to be surging under the Trump administration,” is untrue. For its part, the government claims that for decades, beginning in the 1950s, some midwives and physicians along the Texas-Mexico border issued U.S. birth certificates for babies actually born in Mexico. “Midwives falsely reporting births in exchange for compensation is an old problem that is not unique to the Trump administration. In fact, the administrations of Presidents George W. Bush and Barack Obama denied passports in these cases as a result,” the spokeswoman said. She also said passport denials for “midwife cases” are at a six-year low, according to a State Department release. “Twenty-eight percent of these passport cases were denied in 2017 compared to 36 percent in 2015 under the Obama administration. 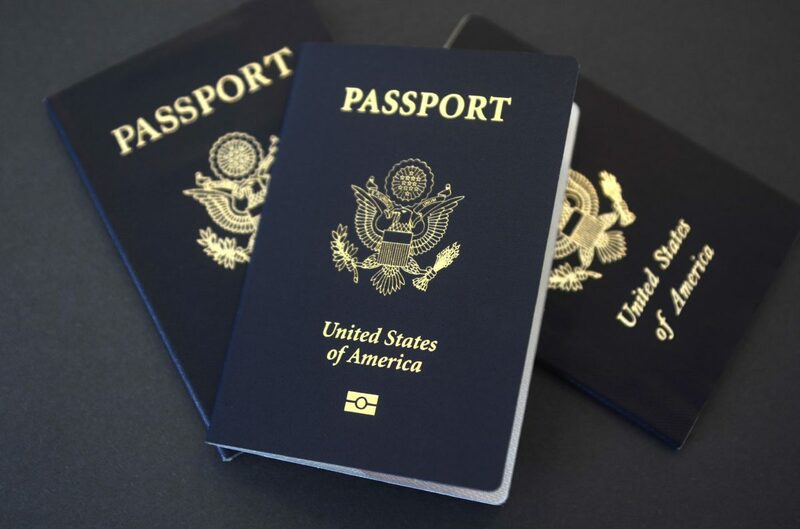 Based on the current numbers for the year, the department continues to show a decline in denials to passport applicants — the lowest rate of passport applicant denials in six years,” Nauert stated in the release. She claimed reports of a surge is an effort to incite panic in the country. The American Civil Liberties Union, which challenged passport denials more than a decade ago and eventually forced a government settlement, said it was investigating the claims of a surge. Lee Gelernt, deputy director of the ACLU’s Immigrants’ Rights Project, said the organization is considering potential litigation. “The Trump administration’s attempt to deny passports to long-term American residents living in border areas is just one more inhumane act in a series of unlawful actions,” Gelernt said in a news release from the organization. Andre Segura, legal director for the ACLU of Texas, said the passport denials disproportionately affect South Texans. “For South Texans, a passport is a necessary part of life. These communities work, shop, seek medical care and have families on both sides of the border. The ACLU challenged this practice a decade ago to ensure that arbitrary and discriminatory passport denials would stop,” Segura said in a prepared release. U.S. Rep. Vicente Gonzalez, D-McAllen, released a statement Friday regarding the reports of “Hispanic Americans” being denied U.S. passports. He acknowledged the issues with the midwives in past years, but argued this should not result in generalizations about other U.S. citizens’ status. U.S. Rep. Henry Cuellar, D-Laredo, also issued a statement in response to the passport denial reports, acknowledging his office is providing insight to American citizens born through a midwife on how to provide “supplemental information and documentation” to receive their passports. With regard to adhering to the passport approval process, Cuellar reminded citizens that “immunizations and school records, baptismal certificate, mother’s legal status at time of birth” can all help grant them their passports.